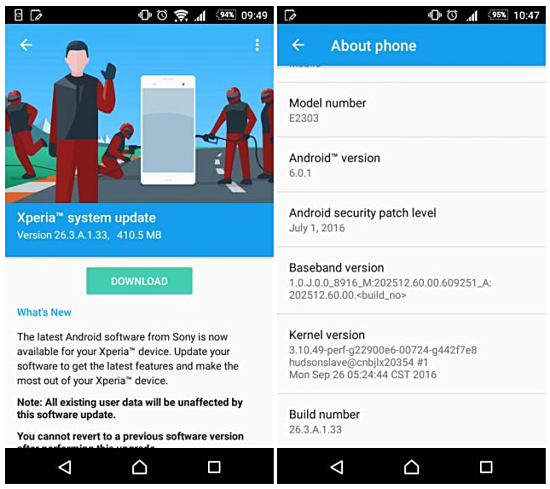 Sony has started rolling out a new update to its Xperia M4 Aqua smartphone. The update – which is hitting all variants of the device, and bumps the build number from 26.3.X.0.131 to 26.3.X.1.33 – brings Android security patch for the month of July. As is usually the case with OTA roll-outs, it may take some time for the update to hit your device. Meanwhile, if you feel impatient, you can manually check for the update by heading to your handset’s Settings menu.